Costume designers and candy lovers will be out in full force as the Boulder City Chamber of Commerce presents its annual Trunk or Treat: Movies in the Park event on Saturday. The event, held at Veterans Memorial Park, is open to all, and has cast “Halloweentown” as its feature movie. All of the cars will have their trunks facing inward toward the field, according to Rowland-Lagan, making it safer for the kids in the grassy fields rather than near the sidewalk. Parking begins at 3:30 p.m. and each car will be charged $10 dollars for the event. 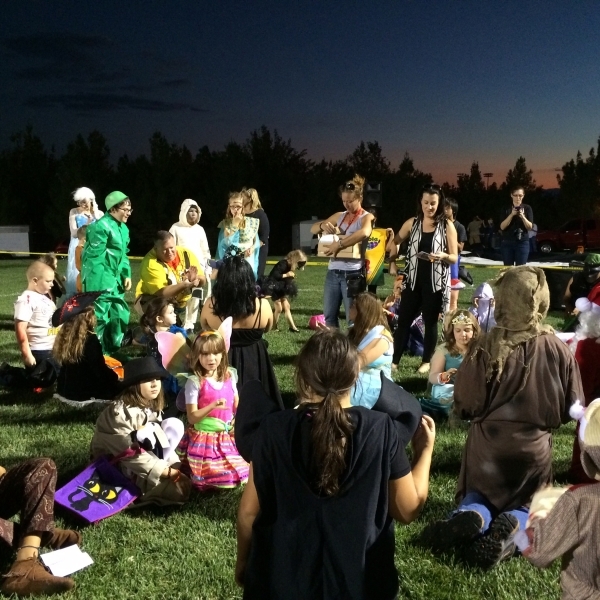 Rowland-Lagan said there will be other activities for the children to take part in outside of Trunk or Treat, including bounce houses, a corn maze and human foosball. Food and drink will be provided by the Boulder City High School girls flag football team in a fundraising effort. 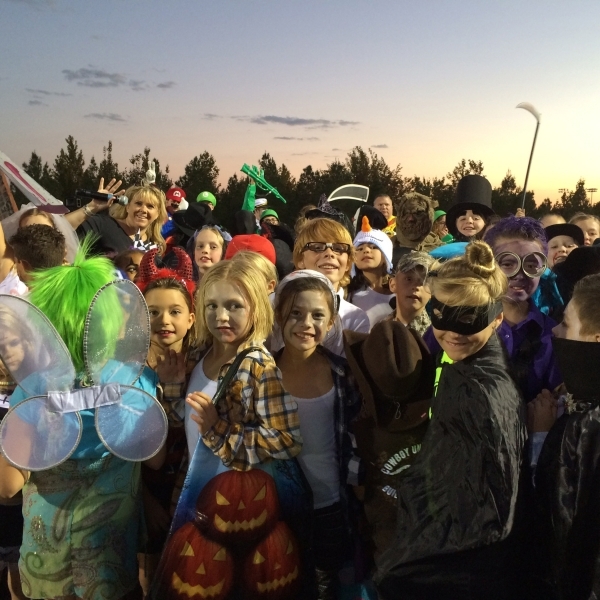 Last year, Rowland-Lagan said 343 cars showed up for Trunk or Treat. She said not all participated in giving away candy, but all did decorate. This year, she expects the event to hold around the same number. The treat giving will begin at 5 p.m., followed by the costume contest at 7. The trunk decor award for the expected 350 or so vehicles will be presented at 7:30. There will be one noticeable difference when the viewing party for “Halloweentown” takes place, as the jumbo inflatable screen received damages from the wind last year. Rowland-Lagan says the chamber has been on a hot-air balloon company’s waiting list since last October, and it is unknown when the large screen will be fixed. The screen replacement this year is significantly smaller, but Rowland-Lagan says it’ll work out just fine. “We’ll all be a little cozier this year,” she said. The movie is set to play at 8:15 p.m. Families that stay to help pick up trash and clean around the park will be compensated, either by gifts or gift cards, according to Rowland-Lagan. For more information, contact the chamber of commerce at 702-293-2034.